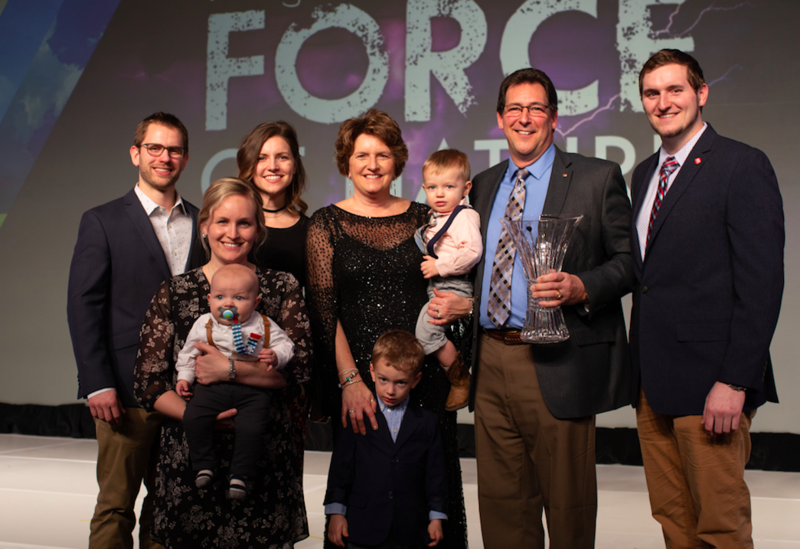 Traverse City, Mich.— Agent Mark Hop of Holland, Michigan has been awarded the Farm Bureau Insurance 2019 Distinguished Sales Award (DSA) for outstanding sales and service. This is Hop’s second consecutive year capturing the statewide honor, and fifth overall. Hop previously brought home the award in 2006, 2008, 2009, and 2017. The DSA is the top sales honor given each year and represents the highest achievement for an individual in the company. It is presented to one statewide winner for exceptional personal accomplishments and contribution to the success of the Farm Bureau Insurance Companies. Over the past year, Hop has finished first in life volume and life policies among his fellow Farm Bureau Insurance of Michigan agents. He also earned the top spot in new personal property premium in addition to writing the most 2018 regular memberships. Hop was also in the top five for new life commissions, and general lines premium. He earned the number one position in the life elite club for the third year in a row. In addition to the above feats, Hop is one of only three agents who achieved the new platinum level for leaders within the prestigious Praesidium Club. He's a member of the Director's Cup team, achieved the Executive Club, Legacy Club, Partners in Growth, and was fourth place in the Presidents Council level of the Multi-Line Sales Council. Farm Bureau Insurance of Michigan was founded in 1949 by Michigan farmers who wanted an insurance company that worked as hard as they did. Those values still guide the company today and are a big reason why we are known as Michigan’s Insurance Company, dedicated to protecting the farms, families, and businesses of this great state. Farm Bureau Insurance agents across Michigan provide a full range of insurance services—life, home, auto, farm, business, retirement, Lake Estate®, and more—protecting over 500,000 Michigan policyholders. For more information about Farm Bureau Insurance of Michigan: FarmBureauInsurance.com.